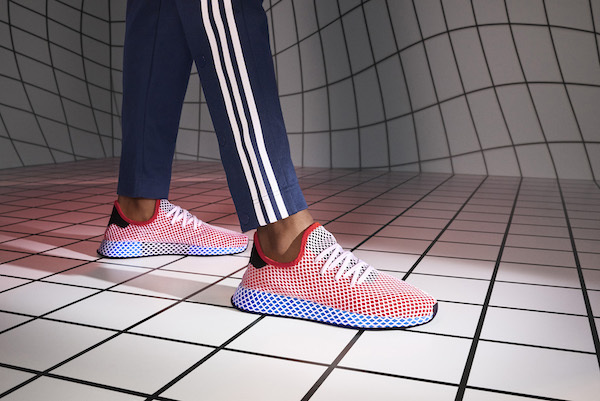 adidas Originals’ grid design, once featured in its silhouettes from the 80s, has been revived and updated for one of its latest models called ‘Deerupt’. 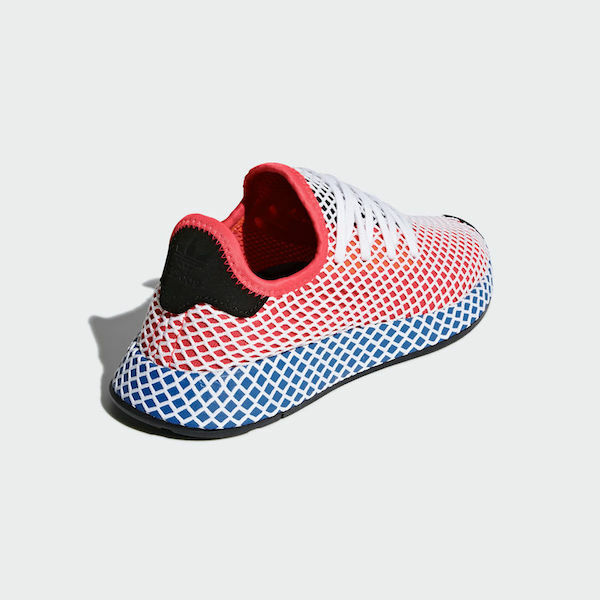 The runner shoes, which has been bestowed the tagline “Disruptively Simple,” flaunts a bold yet minimalist design inspired by urban landscapes, architecture and nature. 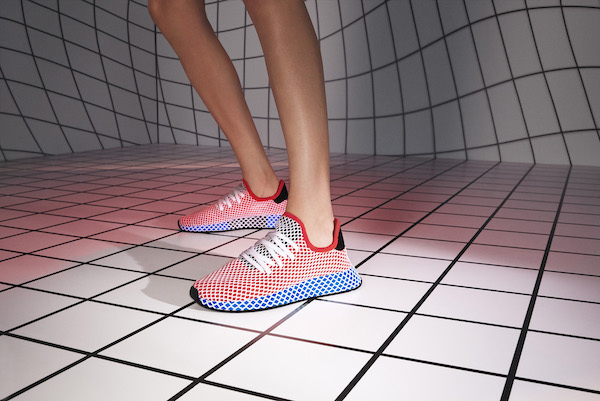 The footwear’s core grid pattern, which plays with perspectives, layering and textures, becomes a striking, contemporary visual design when distorted to hyperbolic proportions and fused with energizing colors. 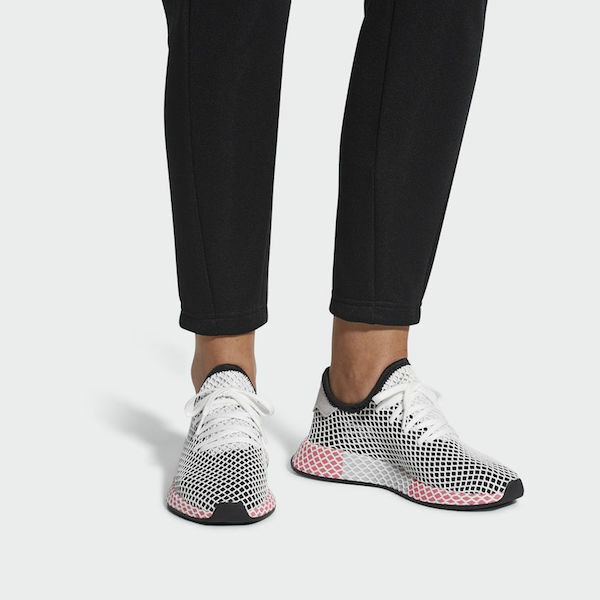 Its ultra-lightweight body comes with knit uppers blanketed by flexible netting, as well as zoned foam pockets that line its interiors for extra comfort. 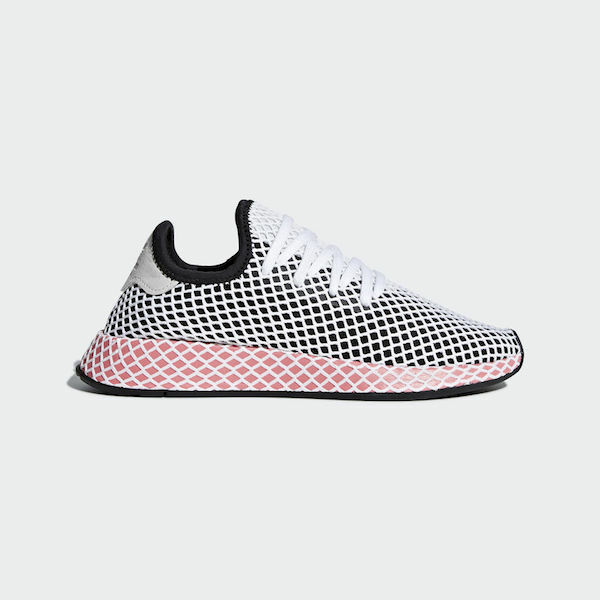 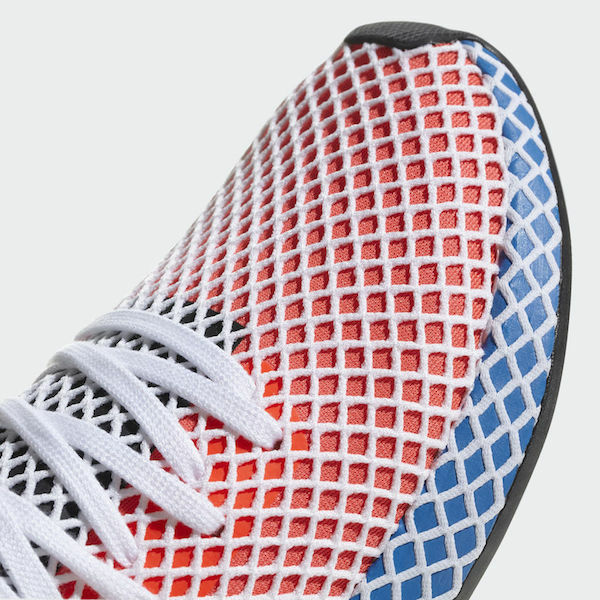 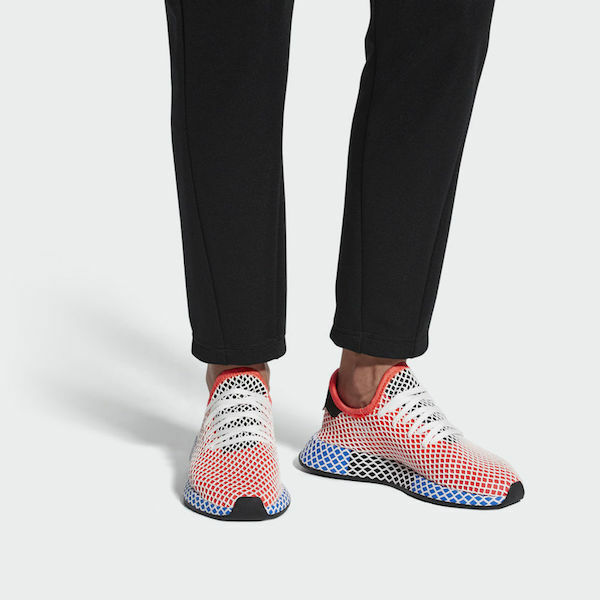 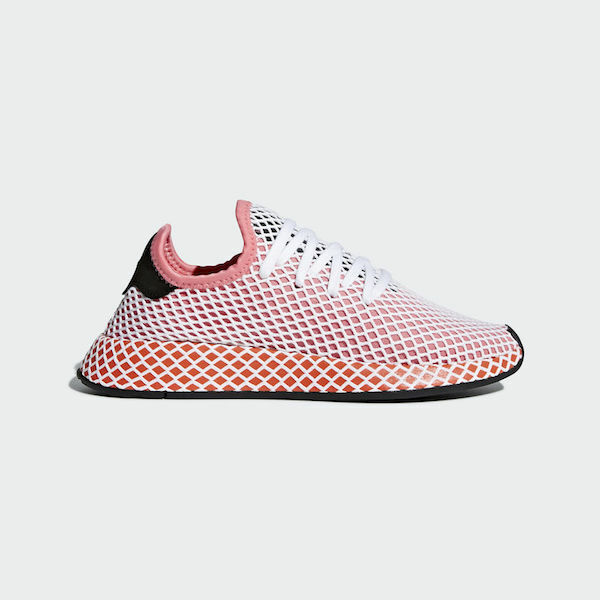 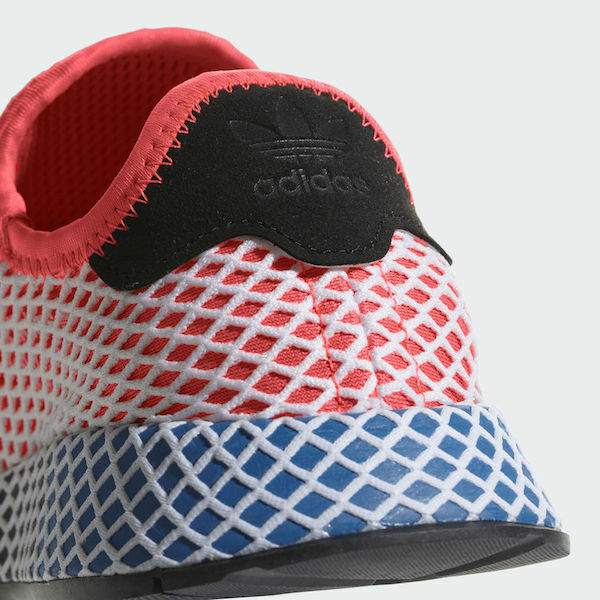 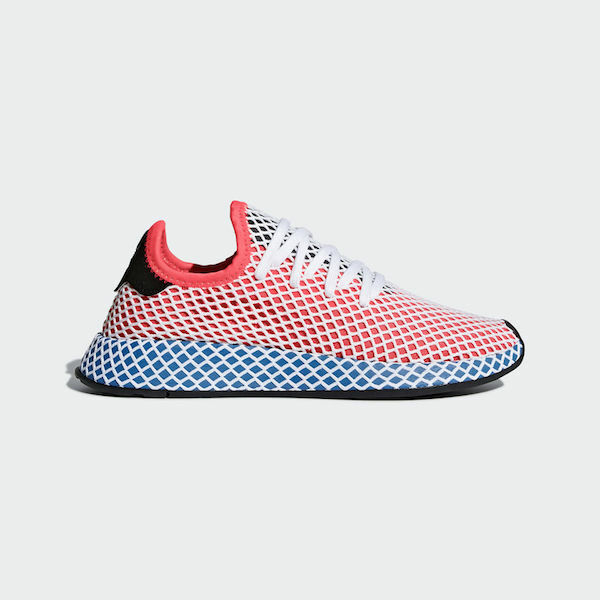 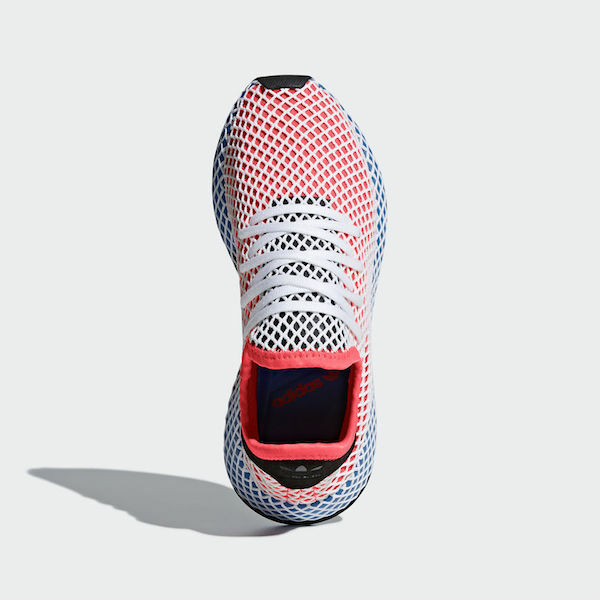 ‘Deerupt’ will launch on adidas.com at US$100 beginning 22 March in options ‘Solar Bird’ that comprises ‘Solar Red’ upper and ‘Bluebird’ sole, ‘Chalk Pink’ and ‘Core Black’.